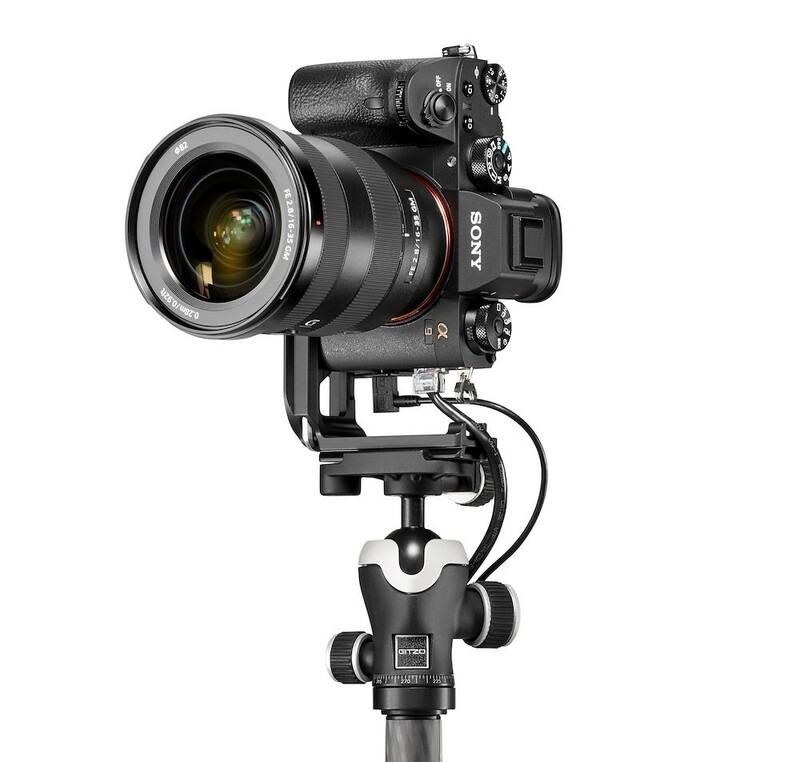 As part of a collaboration between Vitec Group and Sony, Gitzo has introduced a new pair of products designed specifically for Sony α7 and α9 cameras: the Traveler α Tripod and the L-Bracket α. The new products ‘feature a tailored design to perfectly fit Sony α7 and α9 camera models, helping to increase grip and stability for precise framing and extraordinary composition,’ according to Vitec Group. Gitzo’s new Traveler α is a ‘premium travel tripod’ featuring a new design and monochromatic color scheme to match the appearance of Sony α-series cameras. It weighs just 1.43kg/3.15lbs, opens to 165cm/64.96in and holds up to 10kg/22lbs of gear. Like Gitzo’s other travel tripods, the Traveler α folds down to just 43cm/16.93in when using the 180-degree leg-folding system. The legs themselves are constructed of Carbon eXact tubing and use the Traveler G-lock system for securing the proper height. The Traveler α is paired with Gitzo’s ‘most compact professional carbon fiber tripod head […] engineered to provide the ultimate smoothness and precision of movement and secure locking with independent pan/tilt lock.’ To wrap it all up, the special-edition tripod includes a genuine Italian leather carry strap designed to mimic the aesthetic of carbon fiber. The second new product is the L-Bracket α, which Gitzo calls ‘the lightest of its kind on the market,’ weighing in at just 77g/2.7oz. The bracket is milled from a single piece of aluminum ‘to become one with the most high-level professional mirrorless cameras on the market.’ Its design includes four attachment points for camera straps, an open design for easy access to ports and cables. There’s also a dedicated spot for the hex keys and accessories so you don’t need to carry another bag of tools around. The Gitzo Traveler α costs $999.99, while the Gitzo L-Bracket α will set you back $199.99. They are available now on Gitzo’s online shop and authorized dealers.